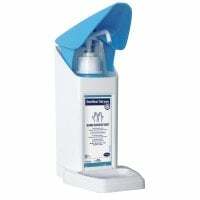 Disinfectant dispensers provide simple and hygienic delivery of hand sanitisers in medical facilities. 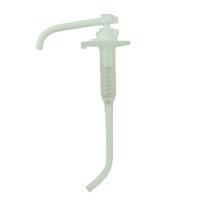 Here, you will find a wide selection of lever dispensers and contact-free disinfectant dispensers for surgeries, hospitals or care facilities at affordable prices. 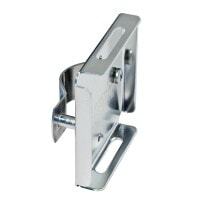 For mounting on bed frames, railings, etc. 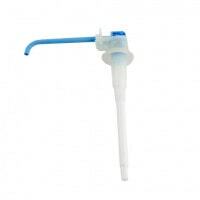 Desinfectant dispensers are mostly made of aluminium, stainless steel or plastic, since these materials are easy to clean. Because these dispensers must be regularly disinfected with a suitable disinfectant, the materials used must also be disinfectant tolerant. 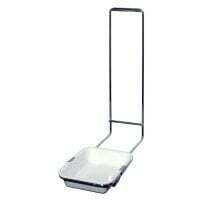 Depending on the model, some disinfectant dispensers are also equipped with a drip tray to collect excess disinfectants and prevent it from dripping onto the floor. 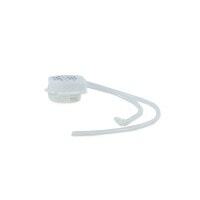 Many dispensers also allow the user to set the dosage amount dispensed per pump, using a ring or screw found inside the dispenser. 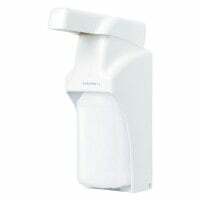 Replacing bottles is typically quick and easy with most disinfectant dispensers–the bottle of hand sanitiser, for example, is usually fastened into the dispenser with a clamping mechanism. 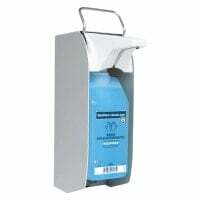 Common dispensers are designed for 500 ml or 1 litre Euro bottles. 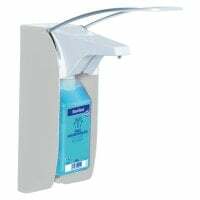 Manual disinfectant dispensers are usually fitted with a long metal or plastic lever that is operated with the user's elbow. 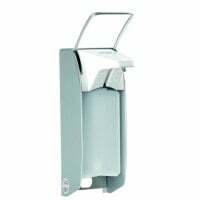 The lever effectively prevents direct contact between the dispenser and the hands, which greatly reduces the risk of germ transfer. Non-contact dispensers, also known as touchless dispensers, have a sensor on the front. Once the hands are brought into the immediate area of the disinfectant dispenser, a predetermined amount of hand sanitiser is dispensed. Unlike lever dispensers, the hands cannot come into contact with the surface of the dispenser at all, eliminating the risk of cross-contamination even more. A sensor dispenser is operated with common batteries. 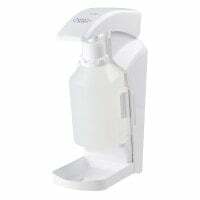 From lever dispensers to sensor dispensers, you can purchase from a wide selection of disinfectant dispensers and the compatible accessories, such as hand sanitisers and wipes for disinfecting skin and surfaces. 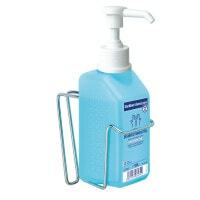 In our online shop, we also offer you affordable products for use in hygienic areas of the general practice, such as soap dispensers and soaps, disinfectant detergents, toilet paper and rubbish bins for paper towels. 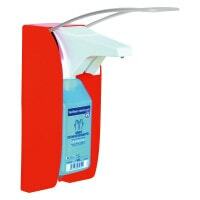 Do you have questions about our disinfectant dispensers or need support with an order? Our friendly customer service can help you via chat, email or telephone.